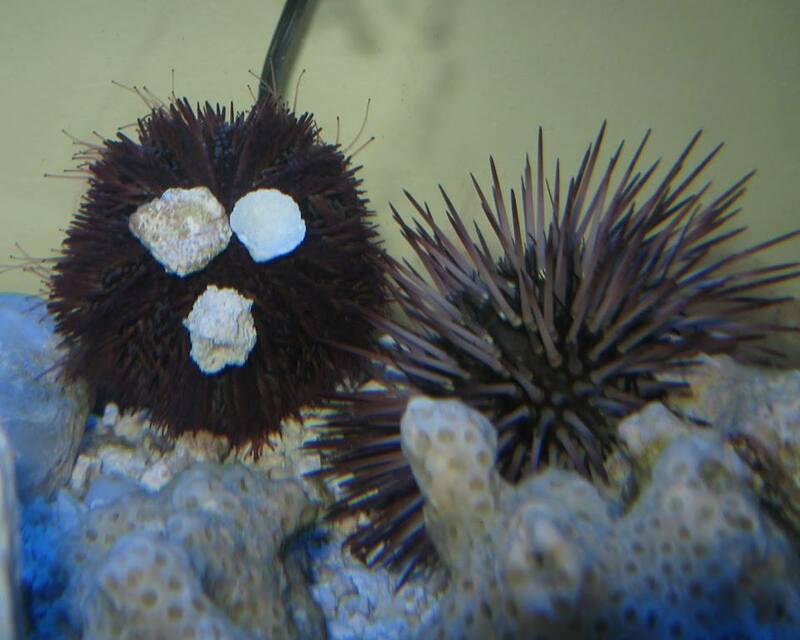 Heather’s sea urchins, ‘Porky’ and ‘Spike’. Just cells and sponge matrix quite spiculous. No brain, heart, or gut! Tis true though- the research? Meticulous! It’s so boring it ain’t even funny. Can’t eat it and it ain’t worth no money. “So this sponge has no charm? It digs right through my oyster shells, Honey! 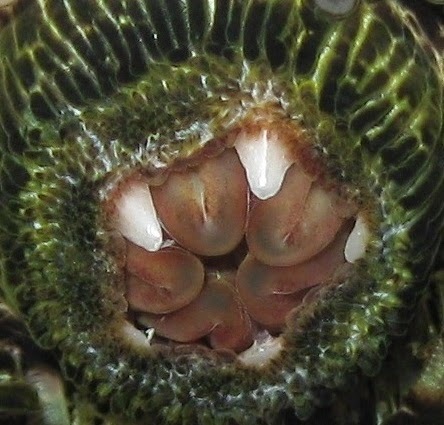 A barnacle’s a crustacean- who knew it? Darwin did- but Linnaeus- he blew it. What about its hard shell? And no claws- what the hell? It’s the nauplius larva that proved it! “Here is limerick number 2 that I promised Steve. He requested one about the cuttlefish and he mentioned to me lately that the giant Australian cuttlefish, Sepia apama, is being threatened by mining and shipping activities in Southern Australian. This is a real bummer as these are amazing animals and in my opinion, cuter than puppies. So this limerick is in honor of the giant Australian cuttlefish, who have this very dramatic mating ritual where large males, flashing their chromatophores in fantastic light displays, fight and vie for the attention of females who float coyly by, accepting or rejecting offered sperm packets seemingly on a whim but really with great discretion. She’s very choosy about who’s sperm she wants to inseminate herself with (shouldn’t we all be?). The small males can’t compete with the big bruisers so they have cleverly found a way to get their cuttlefish gametes into the genetic mix by morphing themselves into looking like females (they tuck their junk between their “legs”- just kidding- I don’t know how they do it exactly but you can find out by watching this excellent episode of NOVA called “Kings of Camouflage”. as “she” glides by the big boys a-tussle. That the ladies like brains more than muscle.